This is one of key areas for various wireless communications and connectivity devices including smartphones, WLAN routers, IoT device, etc. With ubiquitous smartphone and always on services, RF and Analog area has become a very active focal point for many intellectual property related activities. With the commercial service of 5G being deployed, a renewed focus on intellectual property in this area is expected. In conjunction with TechPats’ wireless live and emulator based testing capability and system level firmware analysis, circuit analysis of RF and analog components provides a comprehensive solution to our clients’ intellectual property challenges by revealing details of any circuit blocks of interest. Circuit analysis techniques cover broad range of RF and analog specific features: identifying major circuit components such as inductors and capacitor, analyzing high level architecture of a target device using overall die construction and floor plan, extracting detailed circuit blocks of interest and analyzing their operation and functionality. Whether it is power amplifier with different frequency bands, LNA (low noise amplifier), LO(Local Oscillator), ADC (Analog to Digital Converter) or DAC(Digital to Analog Converter), and clock synthesizers, TechPats has the capability to extract circuit elements and construct hierarchical circuit schematics and analyze the extracted circuits. Comparing a current product of interest with a previous generation or other variants often provides a cost effective way of preparing evidence of use documents in cases where previous analysis data exists. TechPats applies most cost effective analysis techniques and methodologies to provide economic solutions to its clients. Selective delayering of areas of interest, followed by imaging and comparison of images would be one of approaches that could be used in such cases. Recent analysis projects involve devices from major wireless and RF product manufacturers. They include Bluetooth and WiFi integrated wireless connectivity solutions used by multiple global smartphone manufacturers, several generations of wireless RF/baseband and applications processors products adopted by one of largest smartphone manufacturers to name a few. Functional testing often provides a good alternative or complementary analysis solution to certain RF and analog patent problems. Evaluating power consumption characteristics over different operating conditions using our in-house wireless testing capability and power measurement capabilities of battery powered smartphone proved to be very efficient and cost effective to support certain patents which would have been a huge challenge if only circuit analysis was considered. Datasheets and other product documents based analysis an important component of providing analog and RF device related support for patent related analysis. TechPats RF and analog product analysis expertise is a well-organized practical yet comprehensive combination of complementary analysis capabilities including circuit analysis, process analysis, imaging, and system level testing capabilities and datasheet analysis. 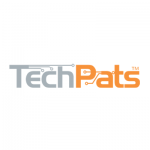 The end result is most cost effective and efficient solutions to TechPats’ customers.